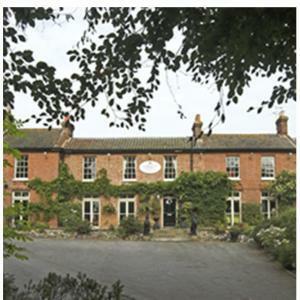 Scarborough Hill Country Inn01692 402151work01692 406686fax InnThe historic Scarborough Hill Country Inn located in North Walsham, is a superb rural retreat, ideally situated for visiting all the delights of Norfolk. Located close to the Norfolk Broads, the beautiful white sands and marram dunes of the North Norfolk coast, the salt marshes of Norfolk and a clutch of historic towns. The relaxed atmosphere inside "The Hill" will guarentee to put you at ease and make you feel truly welcome, with the entire ground floor given over to your use and pleasure...from the large tiled front hall through to the delightful bar and lounge area, each with a roaring open fire to keep you warm in the winter months. Local leisure facilities close by Children welcome from any age. From Norwich B1150 go straight under bridge over traffic lights, turn right at Lidl Store. Hotel is 1 mile on right. From North Walsham - 1.5 miles. From Norwich B1105 go straight under bridge over traffic lights, turn right at Black Cat garage. Hotel is 1 mile on right.